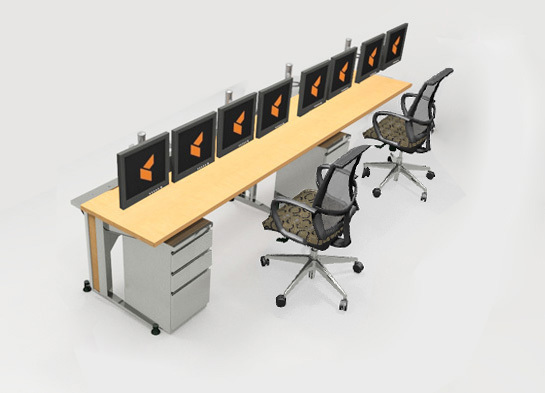 See eye to eye, when you work face to face. 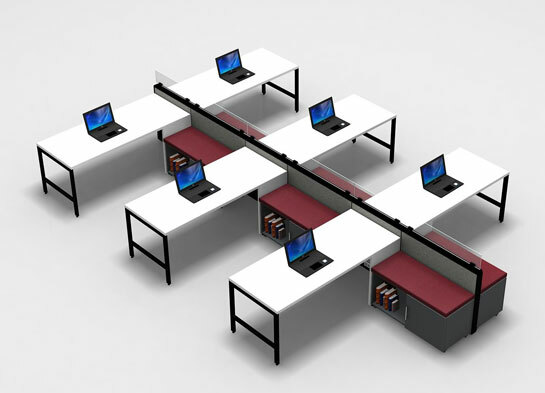 Open Plan Benching. 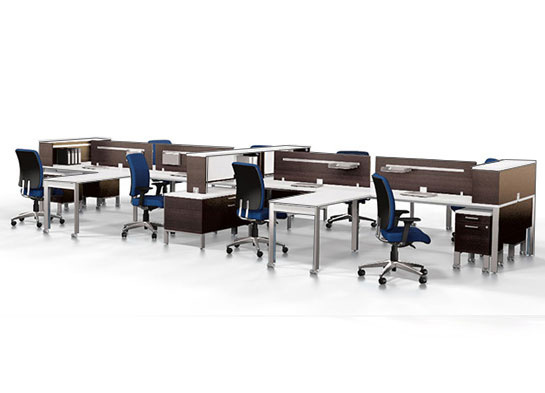 Welcome to the open office workstations of a whole new era. 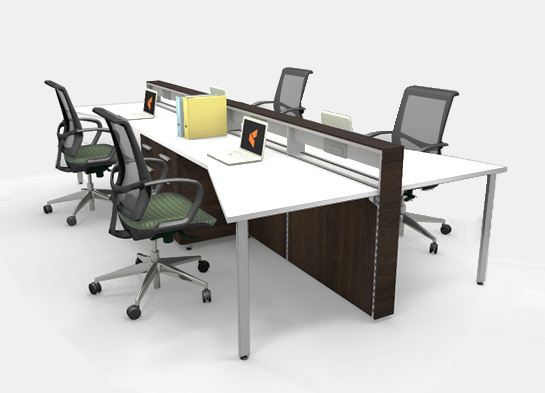 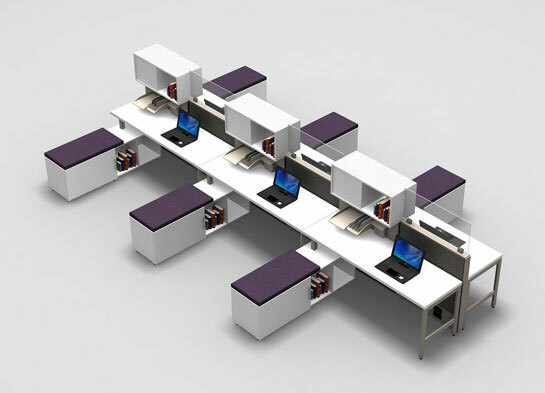 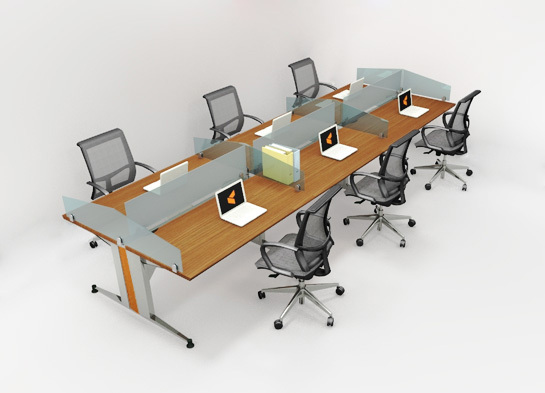 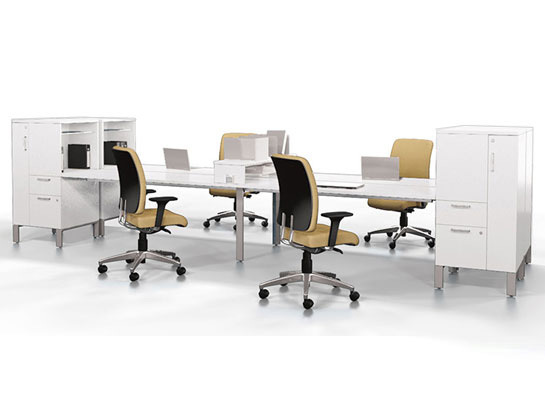 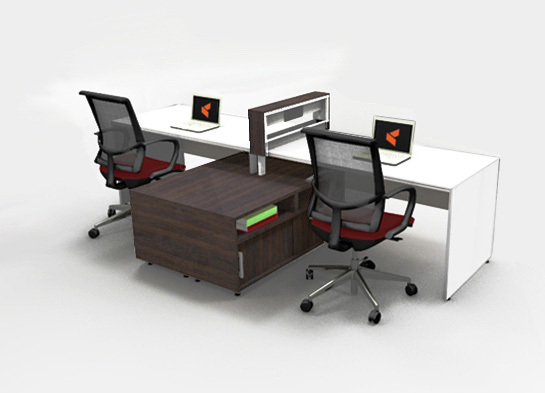 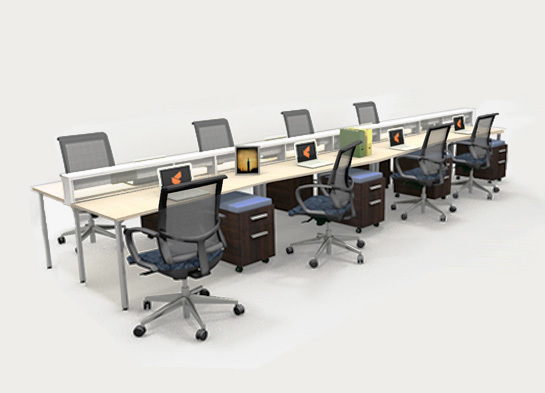 Modular office furniture systems redefined for the new generation. 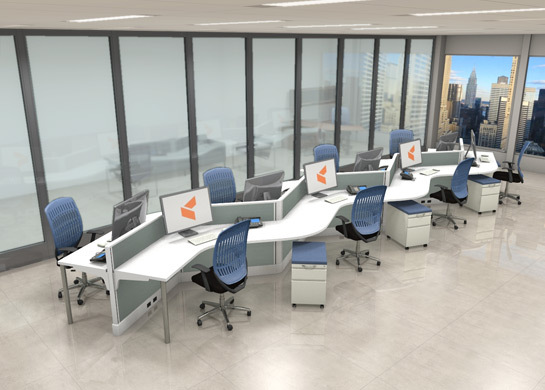 Connect, Share and Achieve in a modern collaborative workspace. 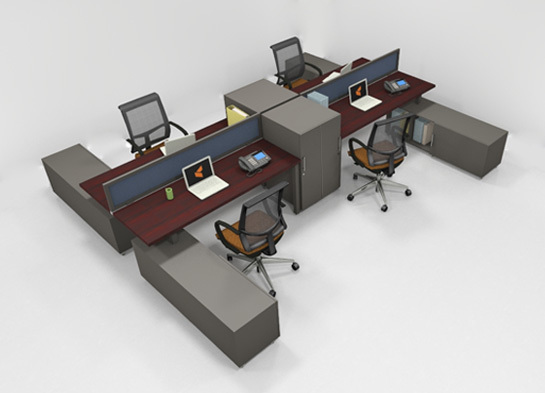 Tear down those walls! 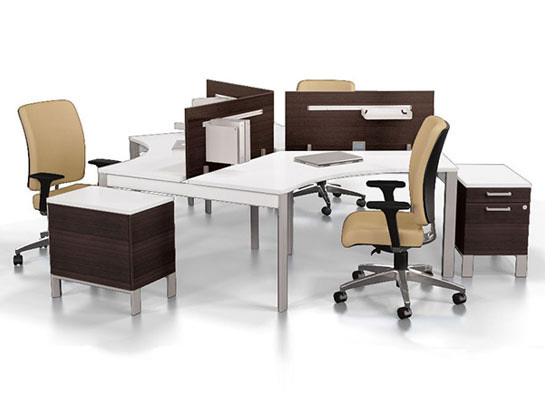 Embrace the open office environment. 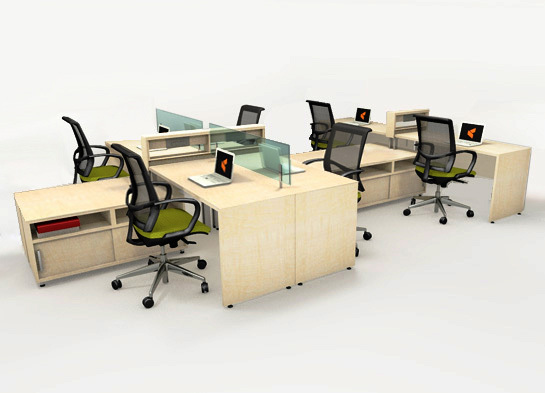 Bright colors POP against white open office furniture. 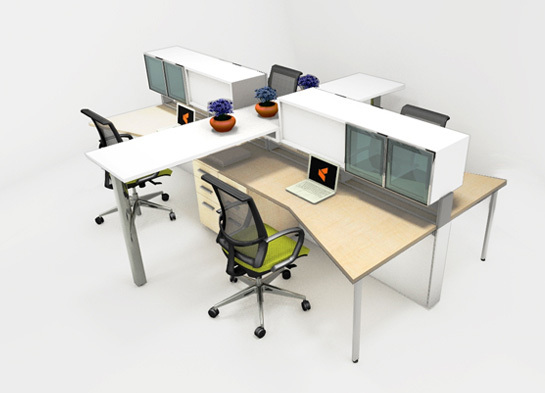 Tight office spaces? 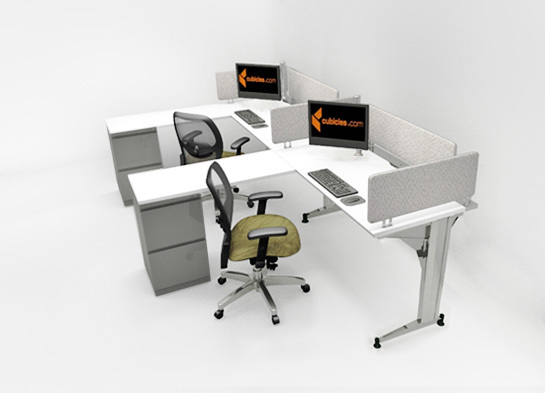 No problem, we can make that work. 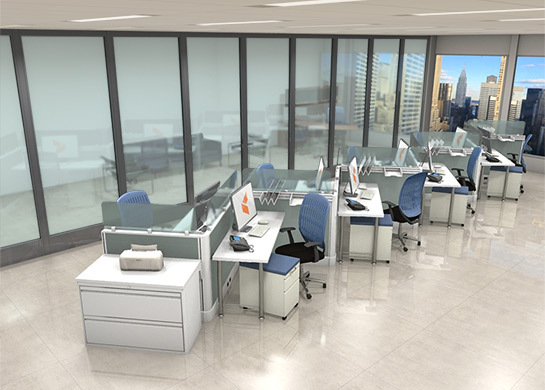 Smart office space planning involves careful, chess like strategy. 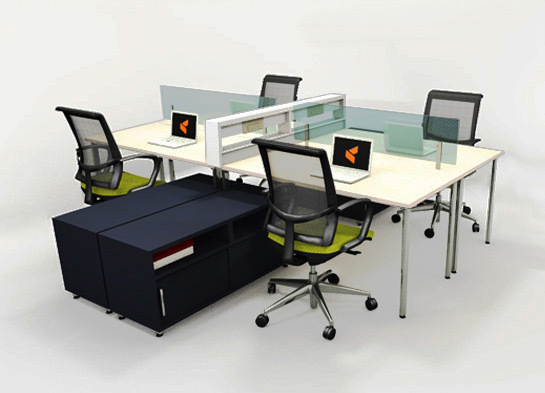 The best collaborative workspace is one that allows personal space. 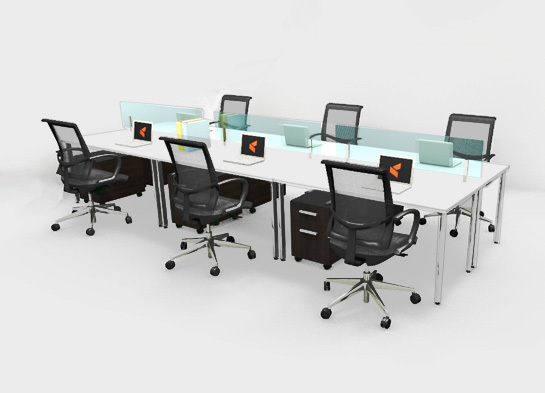 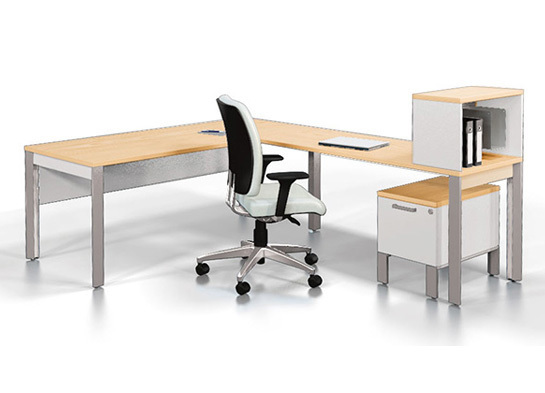 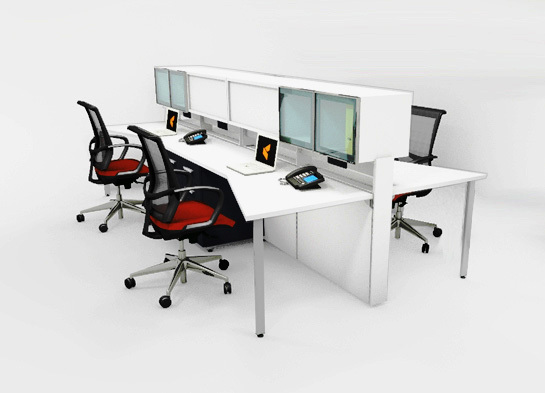 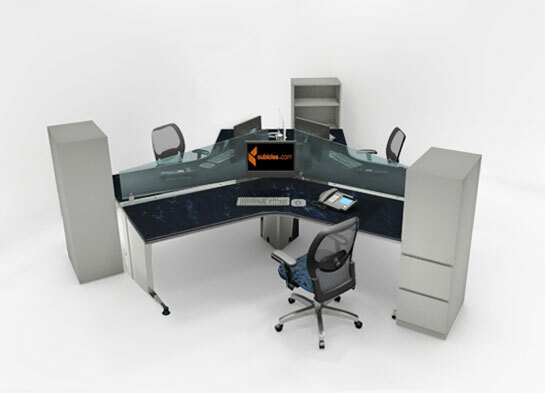 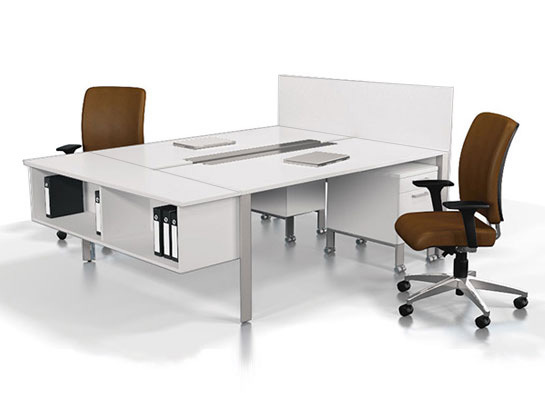 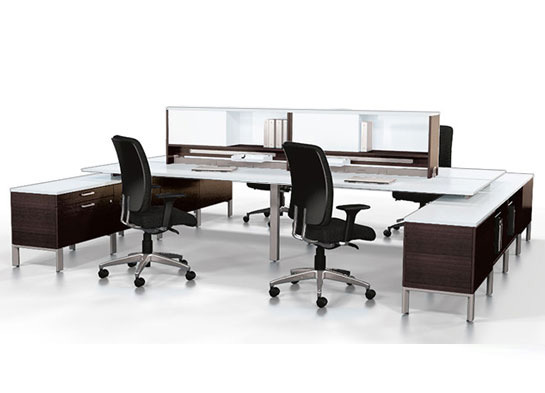 Make a bold statement with black and white office furniture workstations. 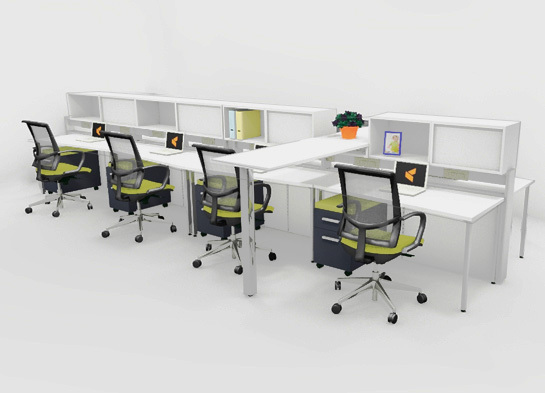 The office workstation of today likes color, curves, and collaboration. 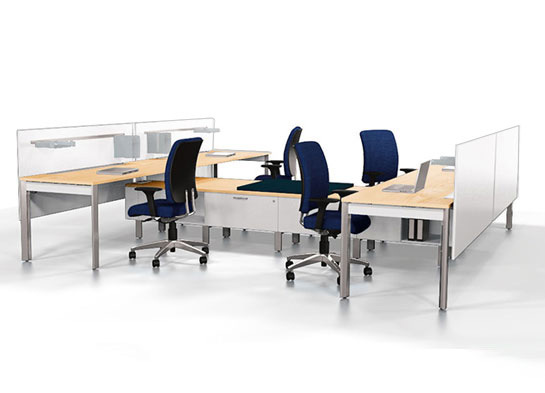 An open plan office needs unique spaces for all types of interactive work. 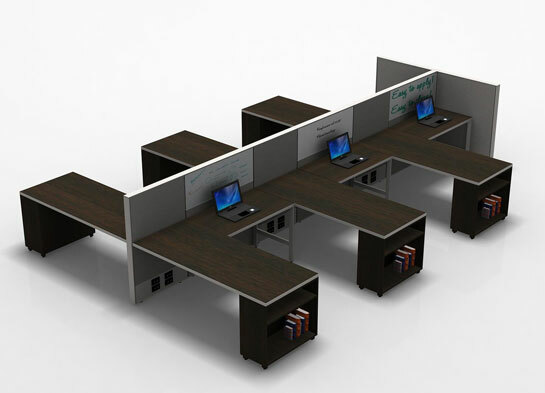 The original open plan office - it ain't so modern after all! 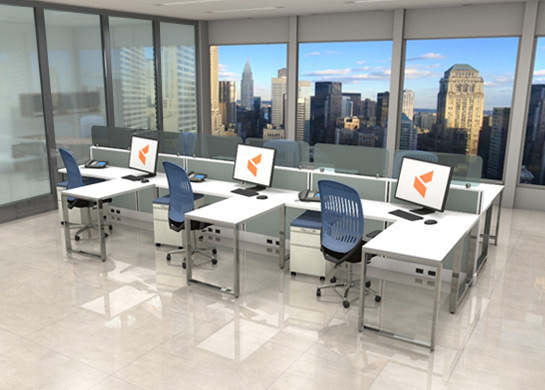 If you're looking to create an open office environment that supports a highly collaborative workspace, put one of our professional office space planning consultants to work for you. 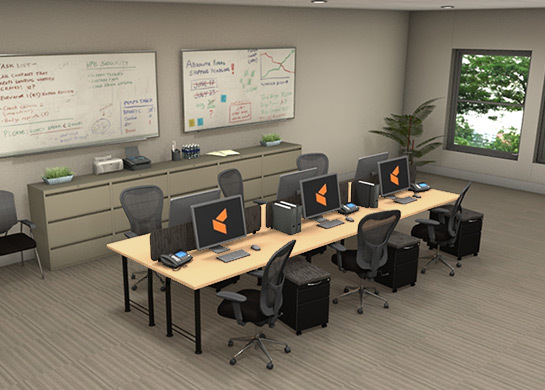 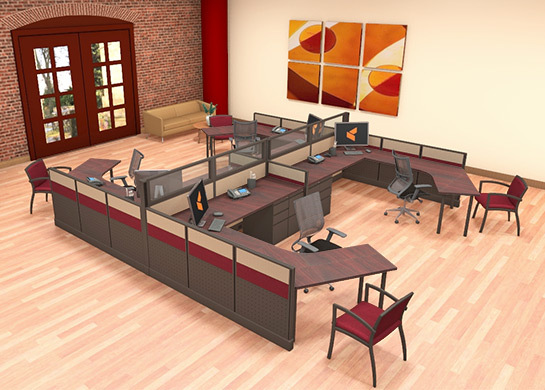 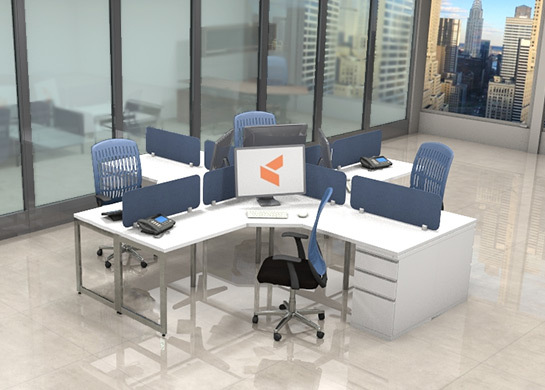 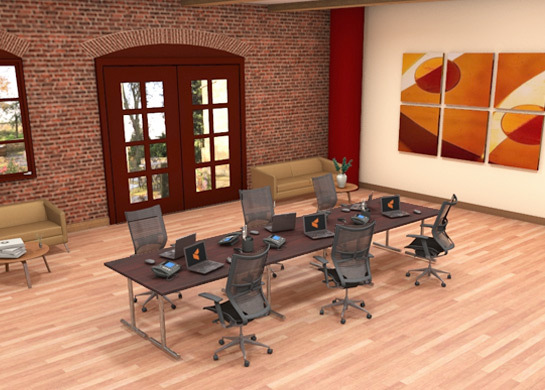 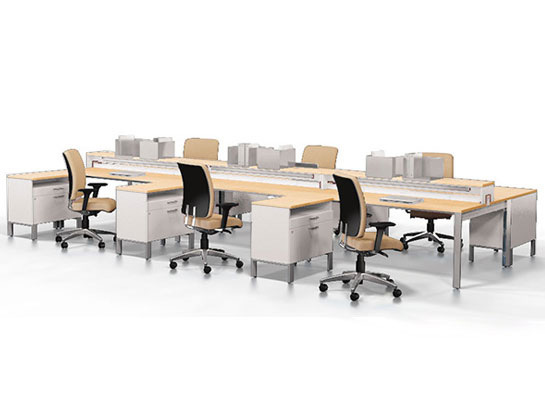 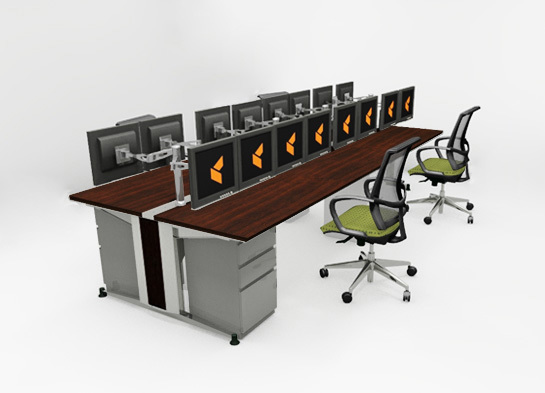 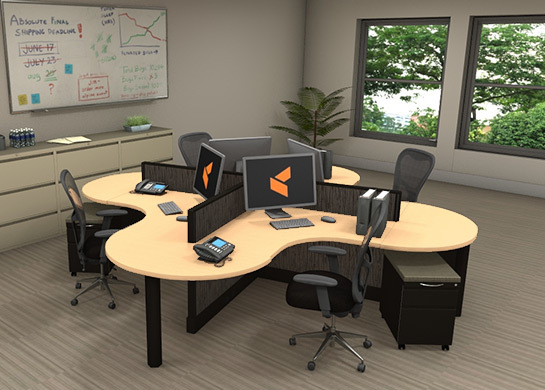 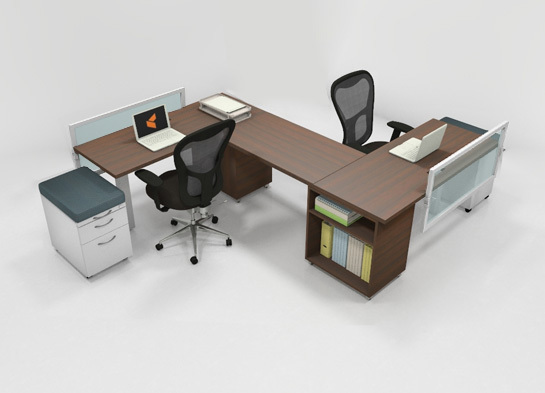 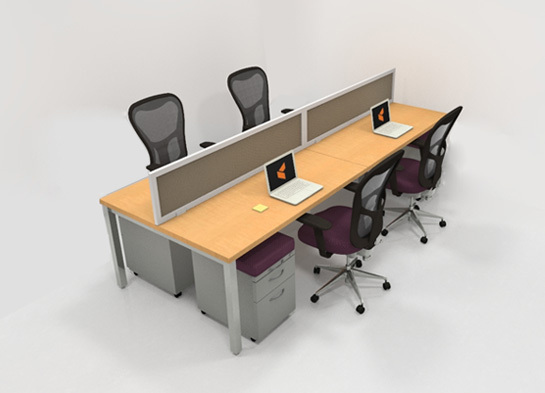 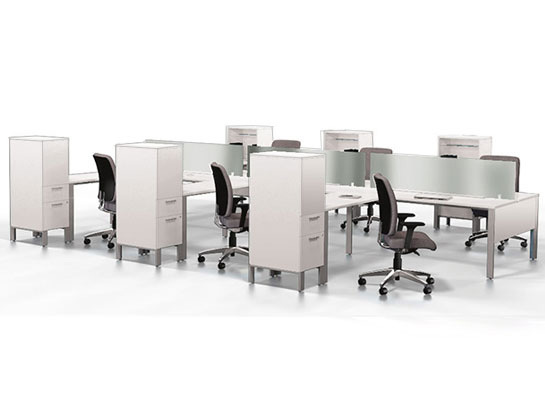 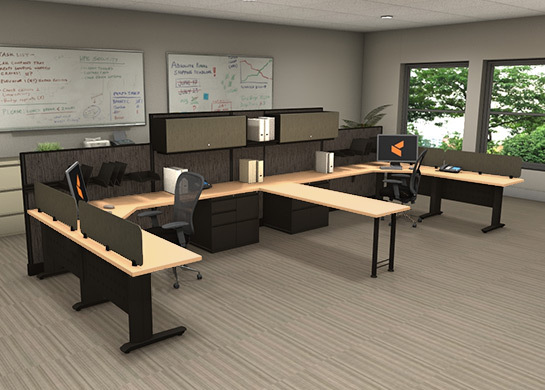 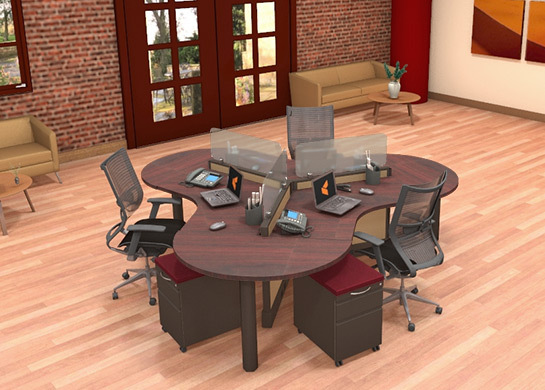 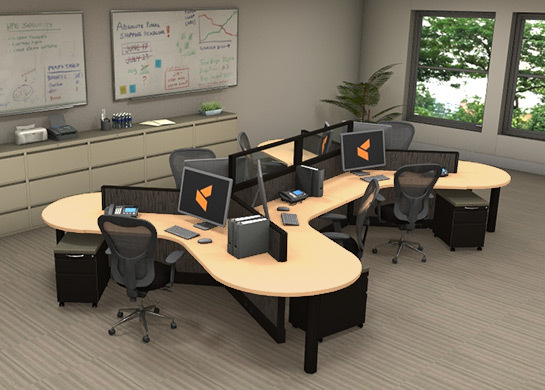 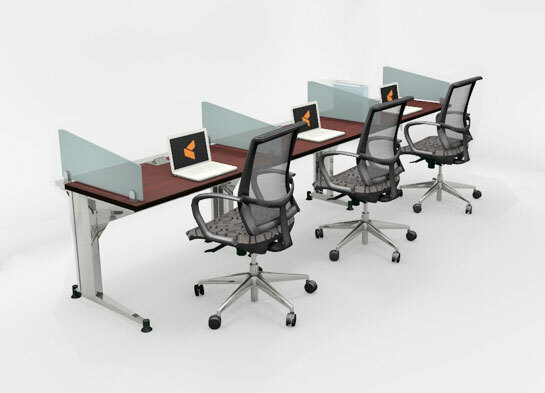 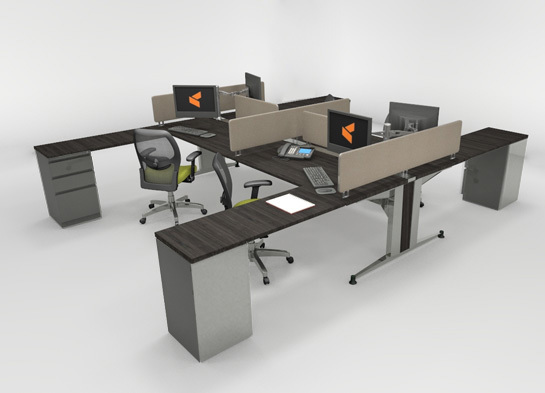 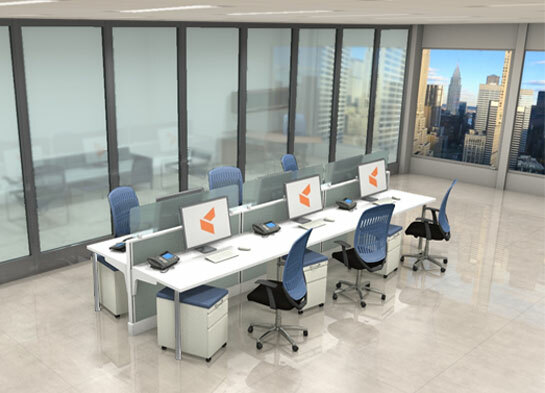 Our office space planners are highly trained, incredibly effective and are typically provided as a FREE service when you consider purchasing your new office furniture from cubicles.com.